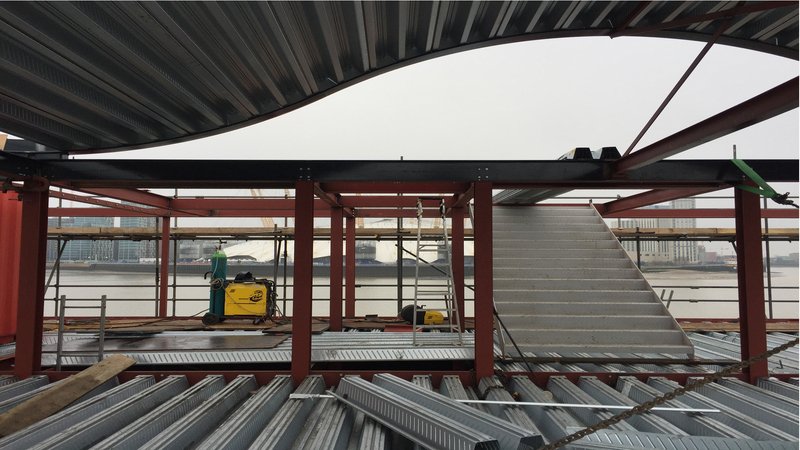 Taking shape at Orchard Wharf is the new pontoon for the Trinity Buoy Wharf pier, weighing in at 600 tonnes. 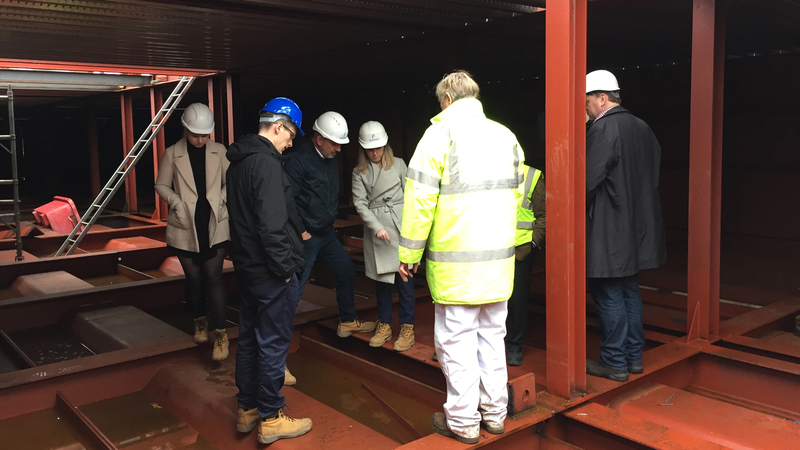 It was designed and built by Furness Partnership and Eric Reynolds of Urban Space Management, a company known for their long and varied experience in practical development, and creation of new and vibrant spaces. 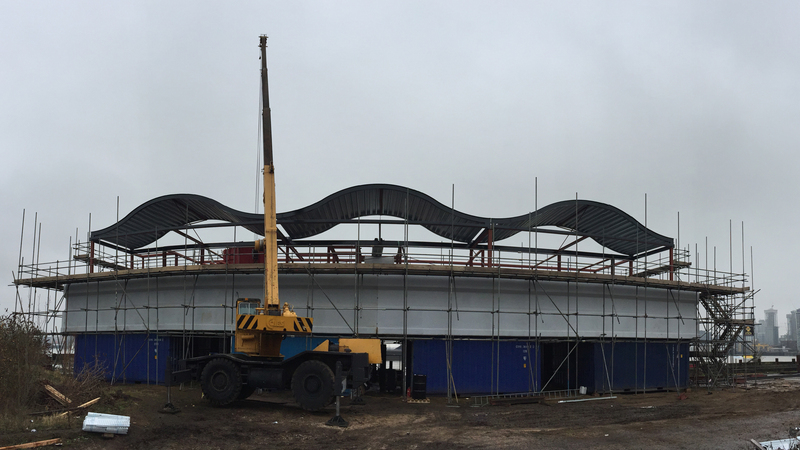 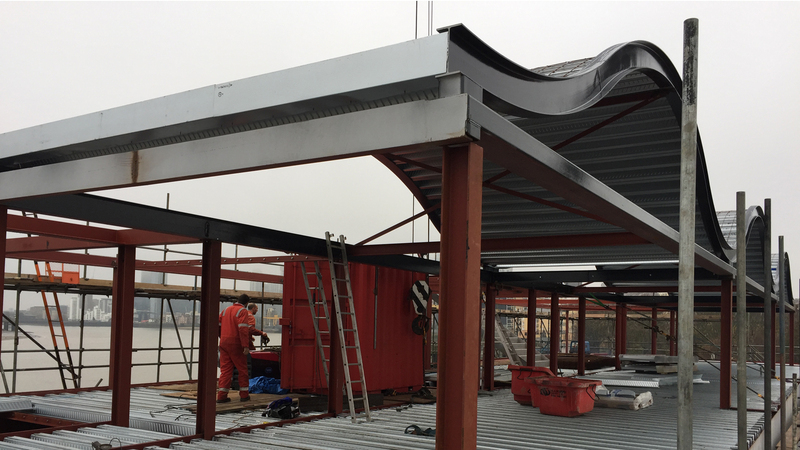 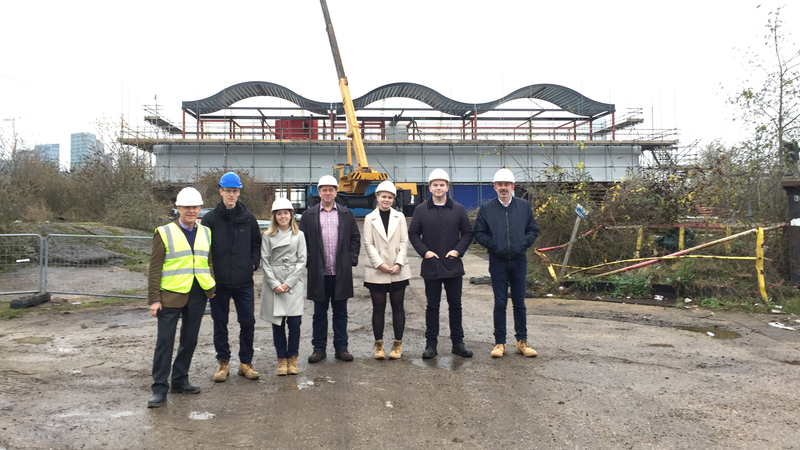 Furness Partnership worked on the structural design of this new ‘link span’ structure. 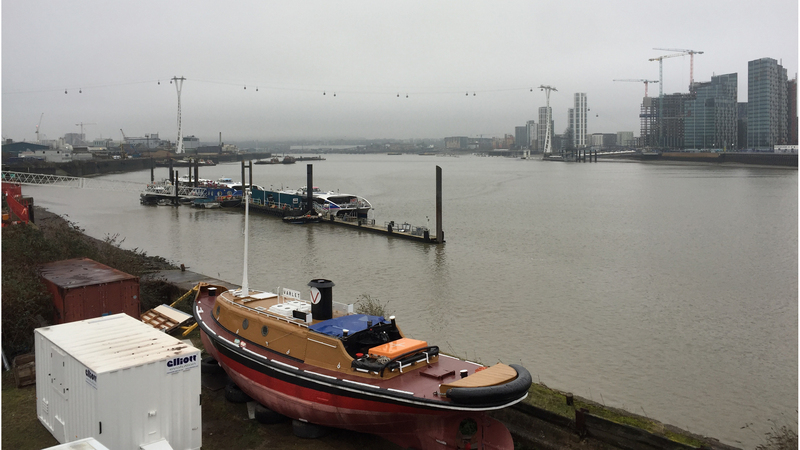 The team enjoyed a site visit at Trinity Buoy Wharf today and tea and bacon baps at Fatboy’s diner afterwards. 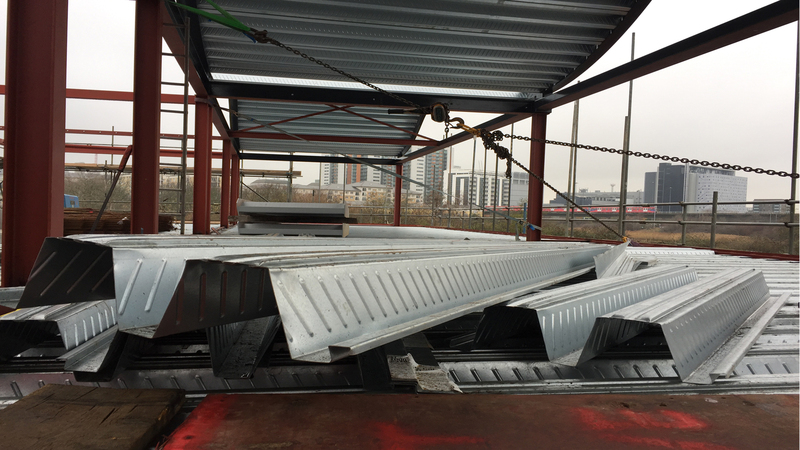 With the steel structure almost completed, the challenge of craning the pontoon in to the water in one piece now lies ahead. 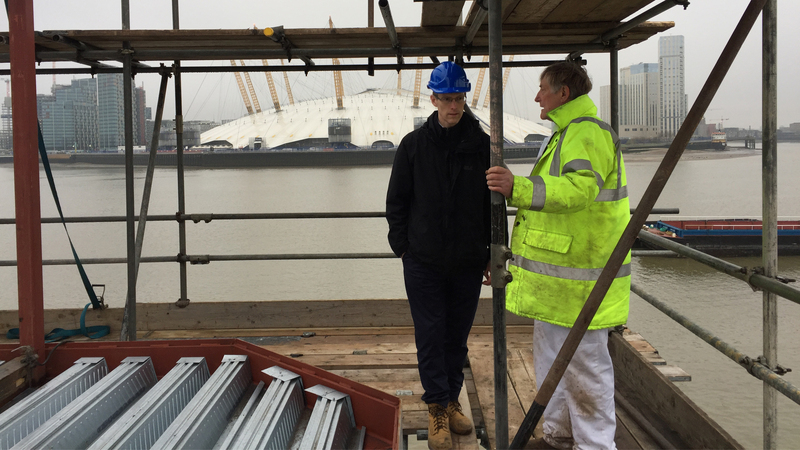 Finally, the construction of a new brow (bridge), will connect the link span to the bank of the Thames, and allow the pontoon to become a new stop on the Thames Clipper line!